While there’s still no public jailbreak for iOS 10 to date, there have been some very convincing demos of personal jailbreaks for it, most of which have come out of the woodwork from none other than well-known iOS hacker Luca Todesco. Amid the current jailbreak situation, Todesco is now seen warning netizens that if they have any intention of jailbreaking iOS 10 in the future, they should stay on iOS 10.1.1 and refrain from updating to iOS 10.2 when it comes out. Although the details are scarce at this point in time, Todesco has been sharing a slew of tweets that seem to suggest iOS 10.2 has plugged up a ton of exploitable bugs in the mobile operating system. iOS 10.2 is currently in its fifth beta as of this writing, which means the public release is imminent in the very near future. Apple could be preparing for a public release before 2017, perhaps around the same time frame as the launch of the wireless AirPods. 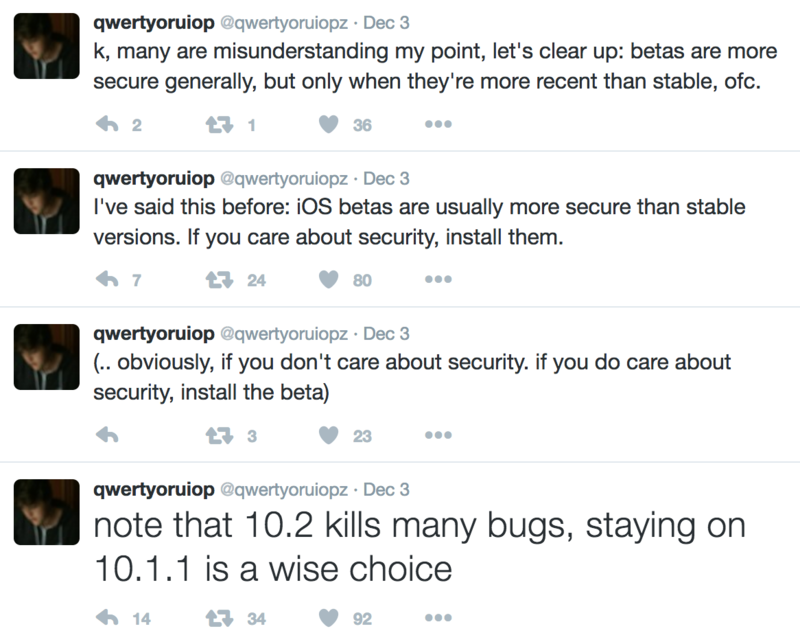 In some of his tweets, Todesco suggests that recent iOS betas are more secure than current public releases because they include relentless security updates that aren’t leaving much left for hackers to break into. Although this kind of cat-and-mouse pattern has been happening for years, we are currently in a period where Apple has retained the upper hand and continues to fortify iOS with security updates regardless. Apple isn’t pulling any punches. Is an iOS 10 jailbreak coming? There has been no word of an official iOS 10 jailbreak dropping to the general public any time soon from the prominent hacking teams, such as Pangu and TaiG, and the news that iOS 10.2 patches a ton more exploitable bugs means iOS is simply getting harder and harder to crack. What does this mean for jailbreakers? Honestly, it’s hard to say. 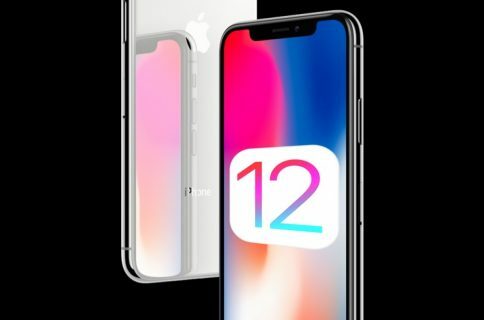 According to Todesco’s advice, if you ever want to jailbreak one of your iPhones or iPads again in the future, you should probably consider refraining from upgrading your device’s firmware for a while. 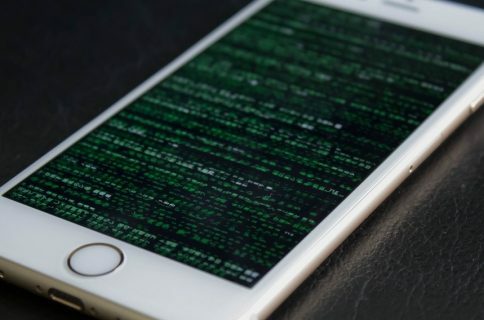 On the other hand, not having the latest iOS firmware also opens you up to security risks because you don’t have the latest patches, and you might even miss out on other various improvements to the operating system, so it’s a catch 22 situation depending on where you stand with jailbreaking. Todesco isn’t saying a jailbreak for iOS 10.1.1 is imminent, but he is saying that you’ll have to pick which is more important to you: the chance to have a jailbreak, or having the latest security and features as they come out. Apple’s rapid software release tactic seems to have put jailbreaking in its place for now. Consequently, having the best of both worlds, a jailbreak and the latest firmware at the same time, just isn’t a thing today. iOS 9.3.3 remains the latest jailbreakable firmware, even as the latest stock version of iOS continues to move forward. Will you be staying on iOS 10.1.1 for a little while even when iOS 10.2 drops in wait of a jailbreak? Share in the comments!